With more Michelin-starred restaurants per capita than any other place in the world, Yountville is the undisputed culinary capital of the Napa Valley. Although it’s a relaxed town stretching just one mile, folks here tend to take their food seriously. From farm-to-table favorites to once-in-a-lifetime nine-course tasting menus, Yountville dining experiences simply can’t be matched. Here, we share a few of our favorites. Open for dinner only, closed Tuesday and Wednesday. Ever wonder what it would be like to be invited to Thomas Keller’s house for dinner? Ad Hoc re-creates the comfort food he grew up with in his third (and most affordable) Yountville restaurant. Each day, an entirely new menu is created, but with a twist: it’s a single four-course dinner served family style to everyone in the restaurant! This unique format started out as a temporary idea to fill the restaurant while it was being designed, but became so popular that the idea has remained. 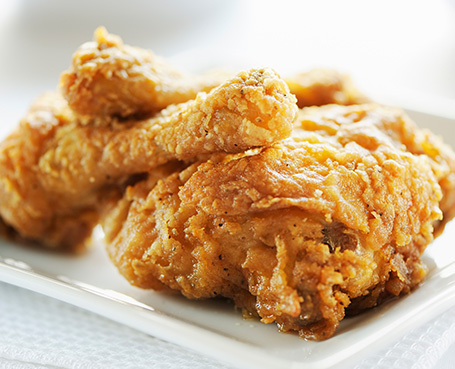 Only Monday’s menus are predictable when they offer their wonderful fried chicken dinner. For reservations, please call (707) 944-2487, or we are happy to assist. In everyday French life, it is the bistro that is woven into the daily pattern of meals and celebrations. The bistro is that little neighborhood restaurant where they know who you are, greet you warmly, and serve you satisfying foods that change with the seasons and define regional homey French cuisine. This bistro, however, is more than just a little French spot–it’s been winning awards since virtually the day it opened and drawing return guests again and again. For reservations, please call (707) 944-0103, or we are happy to assist. Open daily for dinner and lunch, except Mondays. Celebrity Chef Michael Chiarello of Food Network fame displays the bold flavors of his heritage in a farm-to-table Italian menu that highlights the bounty of artisanal and house made ingredients, as well as local produce. Bottega is located in one of the oldest wineries in Napa Valley, the Groezinger Estate. The warm, inviting interior reflects the food: celebrating both the rustic and the refined. For reservations, please call (707) 945-1050, or we are happy to assist. Open daily for dinner and lunch. 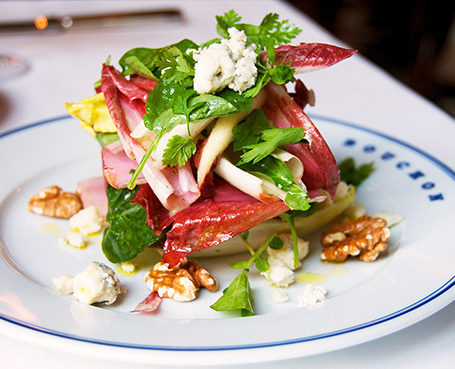 Inspired by the traditional bistros that Thomas Keller encountered while travelling in France, Bouchon lives up to this heritage, offering authentic fare with Keller’s unfailing attention to detail in both ingredients and presentation. 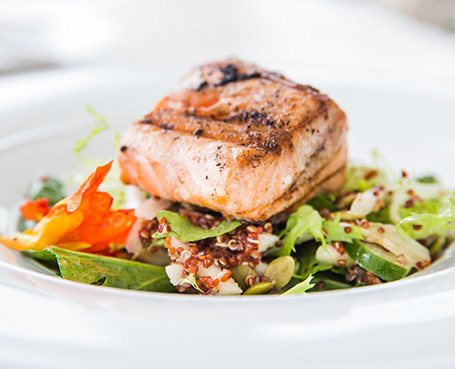 Bouchon’s seasonal menu and raw bar selections change throughout the year, while staples like roast chicken, leg of lamb, and trout amandine remain as consistent, year-round favorites. The Vin de Carafe program at Bouchon features selections made exclusively for the restaurant from top wineries in Napa Valley and France. Bouchon is one of four Michelin-star restaurants in Younvtille. For reservations, please call (707) 944-8037, or we are happy to assist. Open daily from 7:00am – 7:00pm. Sometimes the most simple things are the most exquisite. The Bouchon Bakery offers relatively few things: fresh-baked bread, delectable pastries and cookies, take-out sandwiches, and perfectly blended coffee drinks. That is all. Yet each is a marvel of ingenuity and simplicity. All of their recipes are based on traditional French baking techniques – beautiful to behold, but even better to eat. 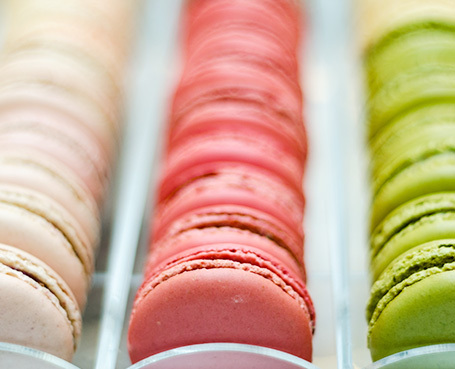 Try the macaroons–you won’t be disappointed! No reservations accepted; just go! Open daily for dinner, lunch and Sunday brunch. Brix Restaurant and Gardens in the Napa Valley is truly a wine country classic, with a clear focus on providing a farm-to-table dining experience. Brix is designed to take full advantage of its 16 prime Napa Valley acres of gardens and vineyards with spectacular views of the Mayacamas Mountains. Their orchards provide ingredients for a new menu inspired by the culinary traditions of the winegrowing regions in Southern France and Northern Italy. For reservations, please call (707) 944-2749, or we are happy to assist. 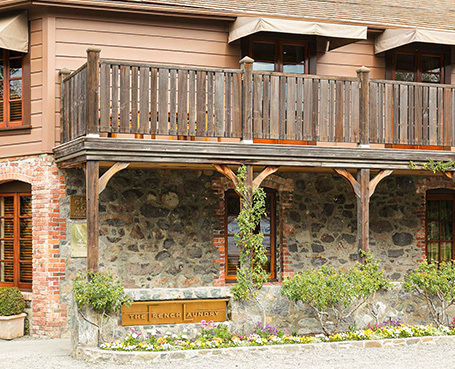 Thomas Keller’s world-famous French Laundry is a mere 350 yards from the Lodge and is ground zero for excellence in cuisine. The veritable mountain top of restaurants is one of those life experiences that lives up to the expectations, both in food as well as exceptional service. Every day, two unique nine-course tasting menus are created. Each is a series of smaller, focused dishes, and no single ingredient is ever repeated. The goal is to create a peak of sensation on your palate, and the results are like no other restaurant in the United States or even the world. The French Laundry has an astounding three Michelin Stars, one of only 10 such rated restaurants in the United States. Renowned Chef Cindy Pawlcyn presents a delectable and memorable menu at her American grill just a few minutes from Yountville. After 30 years of feeding Napa Valley visitors, Mustards Grill is still the hub of the food and wine community where winemakers lunch with truckers, and chefs come to dine on their night off. Alternately known as “the fancy rib joint,” Mustards is still the place to go for a heaping plate of honest American fare with worldly sophistication, washed down with a glass of the valley’s finest. For reservations, please call (707) 944-2424, or we are happy to assist. Hillstone Restaurant Group which operates upscale, casual dining opened the newest establishment in Yountville, an American restaurant and bar. 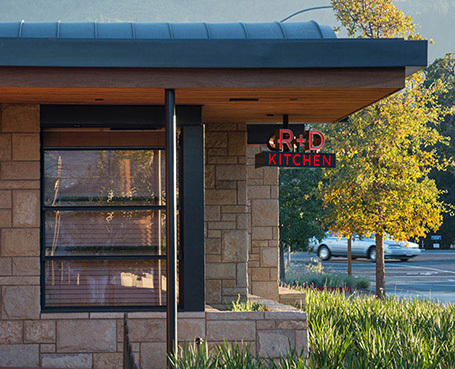 R+D Kitchen offer crisp and flavorful cuisine in a quintessential indoor-outdoor space. Known for their versions of classic American dishes their menu includes sushi, sandwiches and salads. A few of the favorites worth mentioning are the Ding’s Crispy Sandwich, Thai Steak and Noodle Salad, and Tuna Tartare. For reservations, please visit their website. 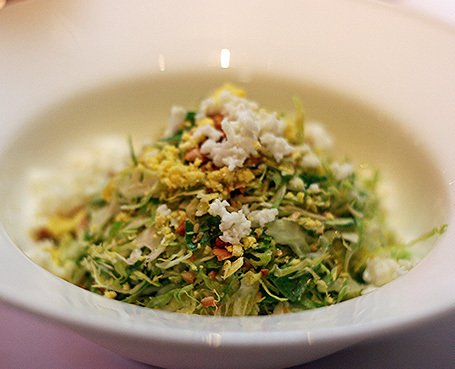 Redd reflects the passions of a serious chef, Richard Reddington, who after spending 15 years in some of the best kitchens in the United States and Europe, found the perfect balance of serious food and unpretentious environment in Yountville. 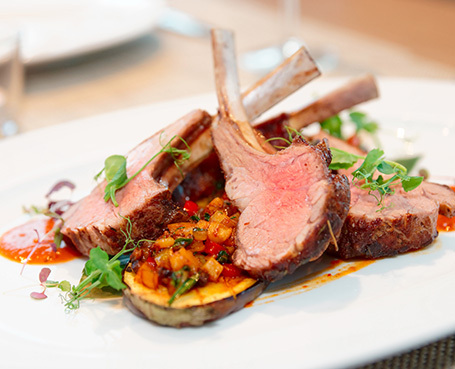 Redd’s menu showcases regionally inspired seasonal cuisine with ethnic influences. 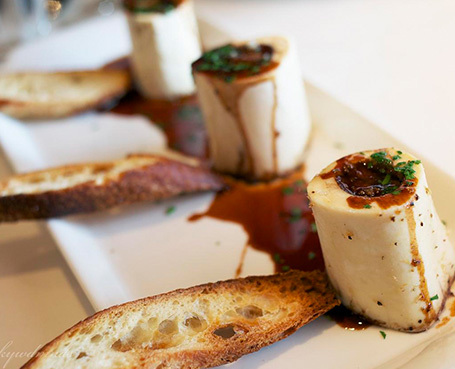 He uses his classic French and Mediterranean sensibilities to present a cuisine that combines flavors and textures that match extraordinarily well with the local wines. Many regular visitors to Yountville consider Redd’s their favorite. 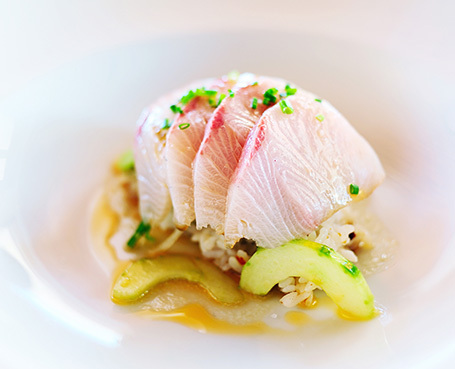 The Michelin Guide concurs–Redd is one of four Michelin-star restaurants in Yountville. For reservations, please call (707) 944-2222, or we are happy to assist. Open daily for dinner, lunch and breakfast. 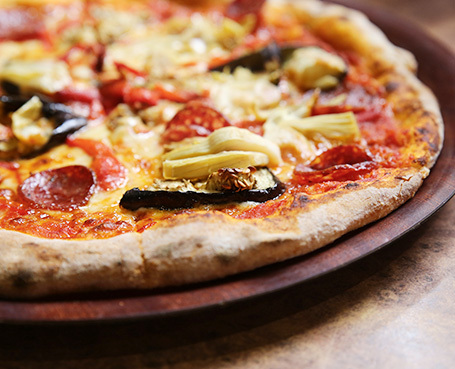 Chef Richard Reddington’s second, more casual outpost, Redd Wood, is a superbly stylish eatery showcases Italian cuisine and exceptional pizzas with wine country influences. Featuring perfectly blistered wood-fired pizzas, house-made pastas with locally sourced ingredients, and in-house charcuterie, the chic dining room features unique embellishments like a copper buoy as the central lighting element, a private dining room flanked with magazine wall-art and an outdoor patio surrounded by citrus trees. There is also an excellent bar if you would prefer to just stop by for a drink. For reservations, please call (707) 299-5030, or we are happy to assist. Open daily for lunch, breakfast and anything you want to take for the road. 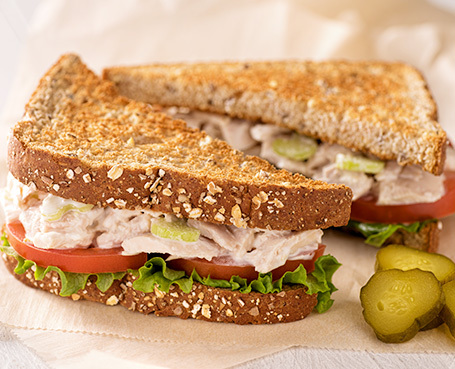 Located in Yountville’s own Ranch Market, this deli is the perfect place to go if you’re looking to pick up a picnic lunch for your extensive day of wine tasting and exploring. Choose from an array of creative, house-made specialty sandwiches, salads, potato or pasta salad, and don’t forget to order a truly decadent cookie from Annie the Baker.